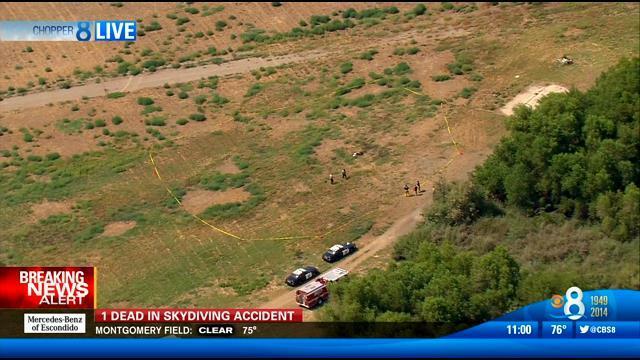 The experienced sky diver who fell to his death in the Otay Lakes area near Jamul has been publicly identified as a San Diego resident. Thomas Steve Clark, 53, jumped from a plane shortly before 10:30 a.m. Wednesday as part of a group from Skydive San Diego, but his parachute did not open before he fell onto a field off the 13500 block of Otay Lakes Road, according to the county Medical Examiner’s Office and the sheriff’s department. The death appeared to have been a suicide, Skydive San Diego owner Buzz Fink said. Fink said Clark, who had more than 30 years experience in sky diving, was going through a divorce and was known to be depressed. No manner of death was listed, and an autopsy was pending, the county Medical Examiner’s Office reported. 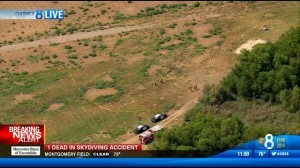 Clark’s death was the second skydiving fatality this year in the same area east of Chula Vista. On March 30, Skydive San Diego instructor Jordan Janway, 27, fell onto a hillside in the Otay Lakes area when his parachute failed to open during a group jump with students. Janway, a San Diego resident, was the brother-in-law of NASCAR champion and El Cajon native Jimmie Johnson.